This year we celebrate 120 years since the founding of the company! • JELÍNEK - výroba nábytku s.r.o. JELÍNEKBlogAbout company JELÍNEKThis year we celebrate 120 years since the founding of the company! This year we celebrate 120 years since the founding of the company! The founder of the company was Josef Volek (1874 – 1945), a sculptor from Horní Bečva. 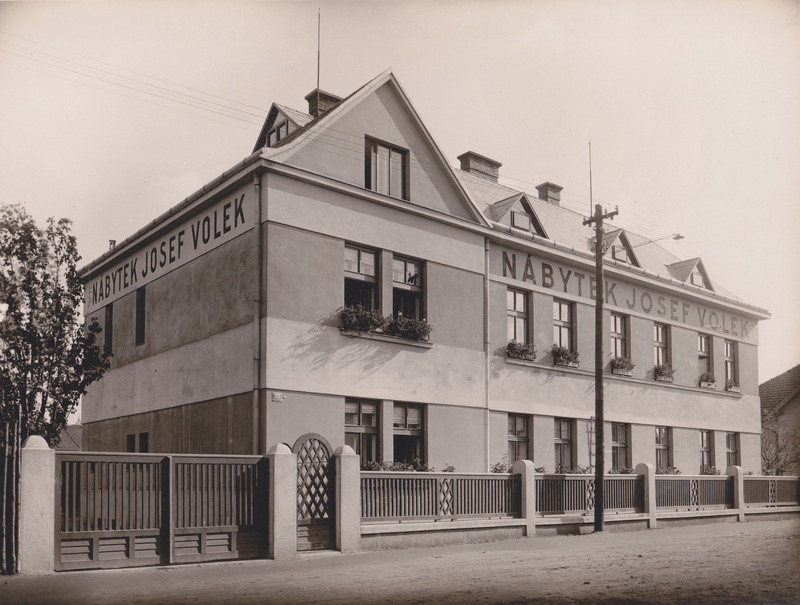 In 1897 he opened the joinery trade, which he transferred to Vigantic in May 1900 and later to Valašské Meziříčí. On Palacký Street, he built a new furniture factory from the joinery workshop, which belonged to successful companies in the late 1920s. Many of the workers were graduates of the Wood Processing Schools in Valašské Meziříčí and were able to produce fine pieces of furniture from the wood according to the wishes and tastes of the customer. Stylish artistic furniture of Volek was provided by banks, offices, insurance companies and private apartments. For modernization and expansion of operations Mr. Volek took a high loan in 1926 at the local Spořitelna. At the time of the economic crisis, however, there were not enough orders and the company could not fulfill its financial obligations to Spořitelna. In 1933, it ceased its activity and later in 1938 the entire building on Palackého Street was seized and sold to the city. The artistic furniture factory should become an urban poor. Jindřich Jelínek (1896 – 1979) joined Volek in the early 1920s. Soon he became one of the leading employees of the business, and the owner Josef Volek likes the young man to give his wife one of his three daughters. At the time of bankruptcy of the furniture company in the 1930s, Jindřich Jelínek opens his own craftsmanship and quality products will soon ensure the sale. In 1938 Jindřich Jelínek was rewarded for the joyous and unselfish support of Jiri Křižan, the owner of the sawmill in Valašské Meziříčí and the understanding of the town council. He becomes the head of “Jindřich Jelínek – Furniture Manufacturing”, which builds on the quality work of Master Volk. Jindřich Jelínek had talent for business. His other qualities – reliability, diligence, skill and certain foresight – made him a success. By the end of the 1930s, the company under its leadership (despite the difficult situation in the world) was on the rise, all the receivables were gradually repaid, and the necessary investments in the facility remained. After the II. World War II, Jindřich Jelínek was preparing for the previously planned expansion of production. This was not the case, since after 1948, the National Administration was set up and, since 1951, Lidové nábytkářské družstvo, which adopted the husband of Jelínek for his employees and allowed them to live in their own built-in building. In 1957, Jindřich’s wife, Božena, died. Son Vlastimil found a new office in Prague, daughter Jindřiška moved to Havířov. Jindřich Jelínek remained for several years in Valasske Mezirici. At the end of his life he went to retirement home in Ostrava, where he died in 1979. For 40 years JELÍNEK – furniture production s.r.o. All business contacts and links from the original firm were disrupted. Nevertheless, Jindřich Jelínek’s grandson decided to continue his family tradition, and after resolving the restitution in 1991, he began to build a already extinct firm. Due to the Communist regime, where the quality, but quantity, was not the priority, the character of the production from the artistic to the purely purposeful and the master craft gradually disappeared. All business contacts and bindings of the original firm were broken. Nevertheless, Henry Jelinek’s grandson decided to continue his family tradition, and after resolving the restitution in 1991, he began to rebuild the already extinct firm. In order to start with the new production, a reconstruction of the joinery workshop was carried out. After testing the first prototypes, the company tried to penetrate the market with new products from laminated bent wood and with the complete novelty of our market with orthopedic lamellae grate with mattress. There is a growing number of satisfied customers and the name of a company that has become known in its logo “jelínka”. 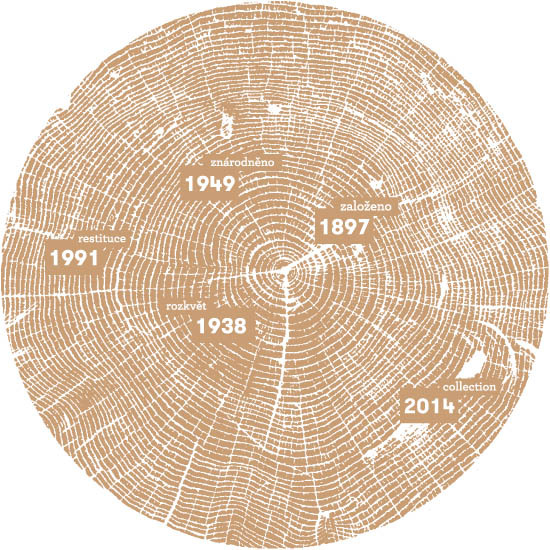 Our mission is to produce quality wood products and continue our family tradition since 1897. By combining modern technology and handicraft, we want to create high added value in our customers’ homes. A value that lasts for generations. In the blood, for five generations, the passion for wood and for honest craftsmanship is reflected in every detail. Putting the wood in shape and making people happy is filling us because we know that we are doing really honestly and well. We collaborate with renowned Czech and foreign designers on collections and have won many awards. We want our products to create a home where it is a pleasure to live. We thank all our customers and business partners who appreciate the craft work and support us in pursuing our family furniture tradition. It’s you, thanks to whom we can do what we enjoy.